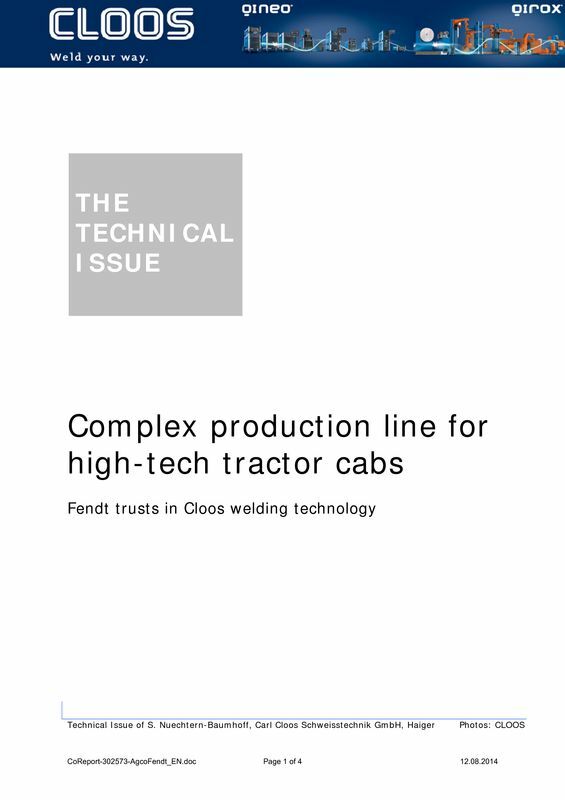 Fendt is the high-tech brand within the AGCO corporation which is one of the biggest manufacturers and suppliers of tractors and agricultural machinery in the world. 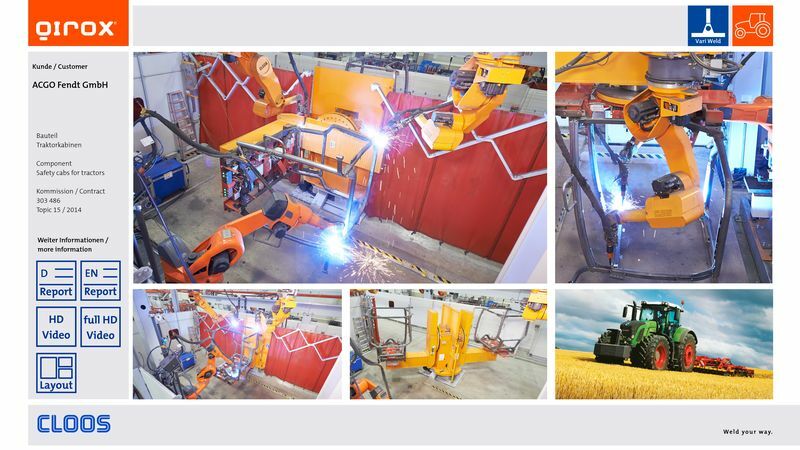 The company depends on the technologies of Carl CLOOS Schweisstechnik GmbH for welding the safety cabs for its tractors. 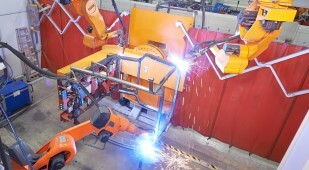 In the two-station system, three robots weld components of the cab frame. Here the Vari Weld process is used which creates an extremely stable and low spatter pulsed arc. 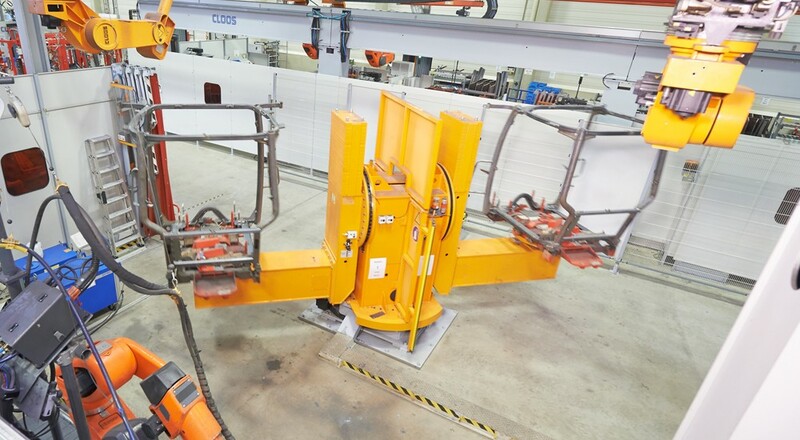 The cycle times are very short due to the arrangement of the robots around the cab. 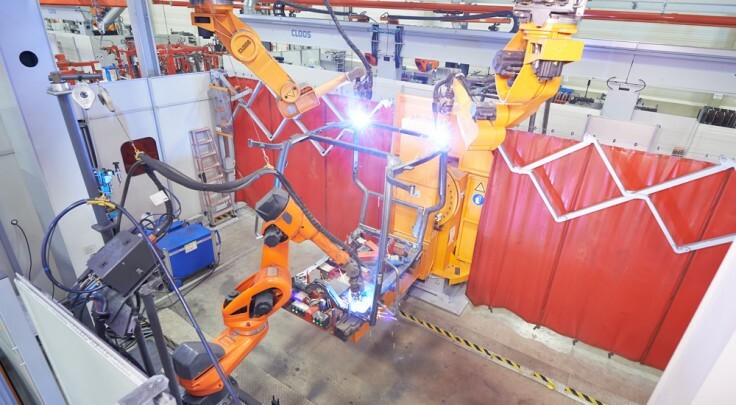 The two-station positioner with horizontal station change allows loading and unloading of the workpieces at the same time when the robots weld. 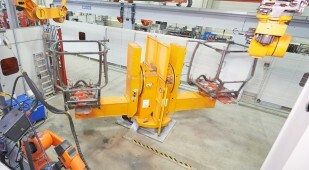 Both stations are equipped with a turning and swivelling axis. 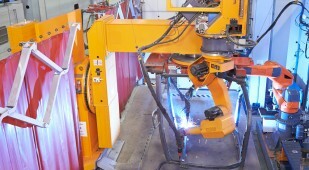 Thus positions which are difficult to access can be reached and an optimum weld quality is achieved.